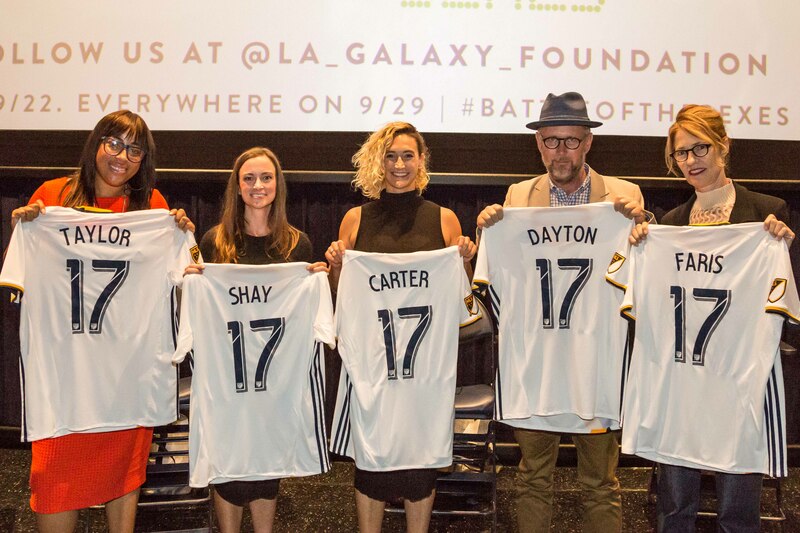 AEG’s LA Galaxy Foundation concludes its Women’s Leadership Series presented by Herbalife Nutrition with a panel discussion and advance screening of the film BATTLE OF THE SEXES on September 14, 2017 at Regal L.A. LIVE: BARCO Innovation Center. 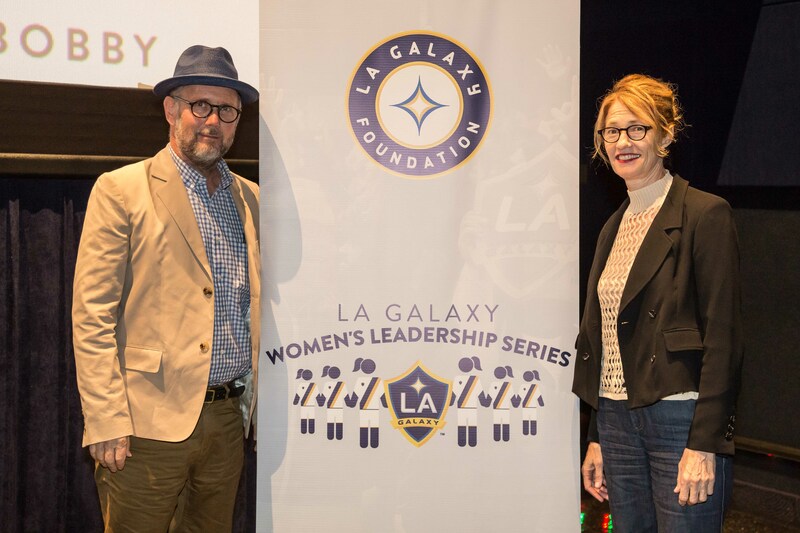 BATTLE OF THE SEXES filmmakers Jonathan Dayton (left) and Valerie Faris (right) speak at the LA Galaxy Foundation Women’s Leadership Series presented by Herbalife Nutrition on September 14, 2017 at Regal L.A. LIVE: BARCO Innovation Center prior to an advanced screening of their film. 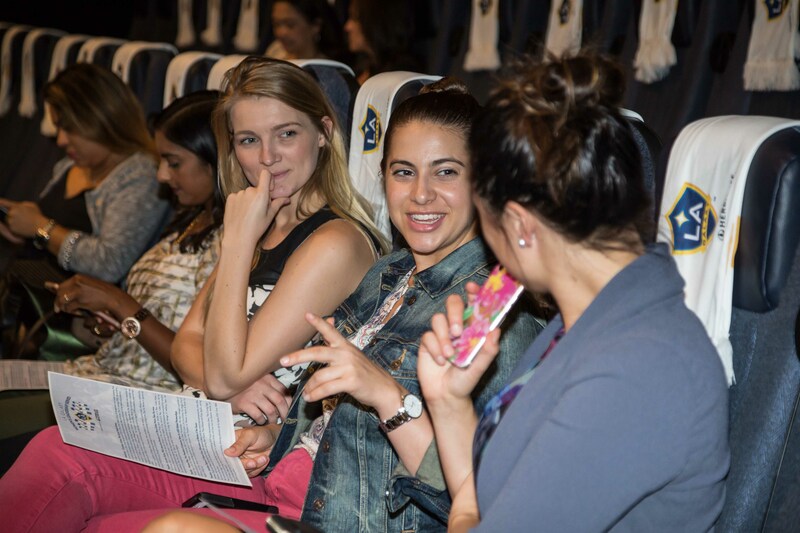 AEG’s LA Galaxy Foundation concluded its Women’s Leadership Series presented by Herbalife Nutrition with a panel discussion and complimentary advance screening of the film BATTLE OF THE SEXES on Thursday, Sept. 14 at Regal L.A. LIVE: BARCO Innovation Center. In collaboration with Fox Searchlight Pictures, the event included a discussion with female executives and BATTLE OF THE SEXES’ filmmakers about the progress of women in sports and entertainment and the importance of leadership opportunities for young women. 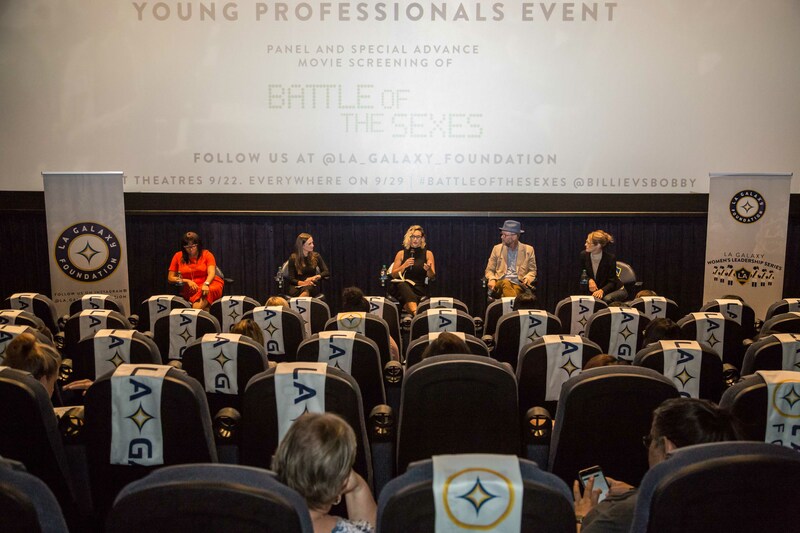 Panelists included BATTLE OF THE SEXES filmmakers Valerie Faris and Jonathan Dayton, Vanessa Shay, Vice President of Corporate Sales for AEG Global Partnerships, Dr. Lucretia Taylor, Associate Director of A Place Called Home Teen Services and was moderated by Courtney Carter, CEO of The Carter Media Group. Following the panel, guests enjoyed an advanced screening of BATTLE OF THE SEXES, which opens in select theaters on Sept. 22 and everywhere on Sept. 29.